The tech world is so fast-paced, I cannot pass a single week without hearing of some new start-up, podcast, online publication or any other latest viral sensation. The phones do not stop buzzing from Whatsapp to email, Facebook, and Instagram—is texting even a thing anymore? As someone who uses social media for work, I find it incredibly difficult to separate the time spent online as personal usage versus professional usage. It's a never-ending cycle, and I cannot seem to catch up on the constant notification sounds going off. If you were not suffering from ADHD until now, then you have no choice but to join the ADHD generation if you wish to survive in the online world. With all the negative and exhausting elements of this rush environment, there is a whole new world that has been born—the podcast world. 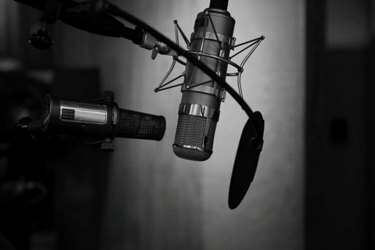 A podcast is a self-hosted talk show (usually known as the new generation of radio shows), except anyone can make it, as long as one has a microphone, laptop, access to the internet, a topic and a will to host. To top it off, unlike radio, anyone with a smart phone can go to the Podcasts app and listen to the show absolutely free of cost. Since podcasts are becoming so easy to host and access, the topics being covered and explored are unlimited. I am an artist, a producer, and now, a podcast host. Being an Orthodox female singer who performs for female audiences only, I find it extremely challenging to feel satisfied and fulfilled. After releasing my most recent few music videos, I had to deal with the unpleasant backlash from the community, and as I suffered and licked my wounds, I found that I wasn't alone in the female world of arts and entertainment. Thankfully, one of my mentors, Rifka Harris, suggested I start a podcast as a medium to document the beautiful, and sometimes painful, stories of fellow Jewish women in the arts and entertainment world. The show is about women who pursue their calling and passion, despite the impractical lifestyle it comes with, and who choose to sacrifice in order to bring beauty to the world through their art forms. We discuss challenges in dating and marriage that come with the unorthodox lifestyle of an artist. We talk about the toll, the expensive (monetary) investment it takes, and most importantly, we bring up the religious challenges women face—the cherry on top, or sometimes, the cake itself. Shows that inspire one person can break the heart of another. This ongoing collection of stories is a precious gem for artists and aspiring artists. This show gives these women a voice, a way to be heard and understood without judgment, bringing vulnerability and honesty to their fans. Perl Wolfe - lead vocalist of the former band "BulletProof Stockings"
We talk a lot about collaboration during these interviews, and I really believe by uniting and joining our voices together, we can bring awareness and help create new opportunities for Jewish women and girls in a supportive environment. 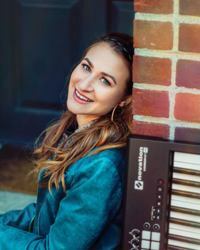 "Franciska is giving a voice to Orthodox female artists by hearing them out, connecting them to the larger frum audience and helping them feel loved, valued and supported. I’m a fan!" "I so enjoyed being interviewed by Franciska and discovering this community of Orthodox female artists. It's a great community, and I'm honored to be a part of it. Franciska does a great job teasing out honesty and vulnerability from her interviewees." The Franciska Show can be found by searching for the title in your Podcasts app on your iPhone or wherever you get your podcasts. The show is hosted by Freydie Kosman in her recording studio in Philadelphia. is a producer, composer, vocalist and the host of The Franciska Show podcast.